Developmental delay is a broad term used to define as when child doesn’t reach their developmental milestone at the expected age. It is found that developmental delay is much more common in boys than girls. The actual cause behind developmental delay is unknown. it is found that genetic factors or syndromes, metabolic factors, toxins and traumatic events, cerebral malformation and cerebral palsy can contribute developmental delay among children. Developmental delay can be classified as two. 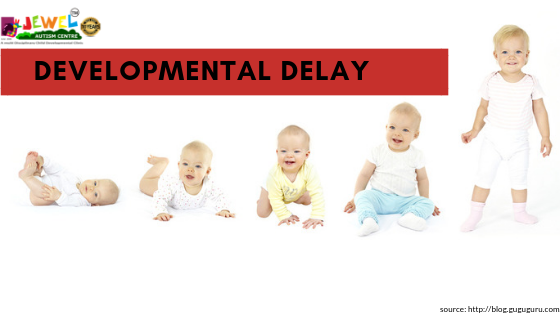 Global developmental delay: this is the delay in 2 or more areas of development or delay in all areas of development. Specific development delay: this is the delay in single area of development. Difficulty in gross motor skills: problems in using large muscle groups that assist in head control, rolling, crawling, sitting, standing, walking and running. Difficulty with fine motor skills: it include difficulty to grasp, prehension and in hand manipulation activities. Difficulty with learning, problem solving, memory and reasoning. Difficulty in interacting with others and developing relationship with family and friends.